Stone bridge near Gilsum, New Hampshire. Photo by Kenneth Mays. 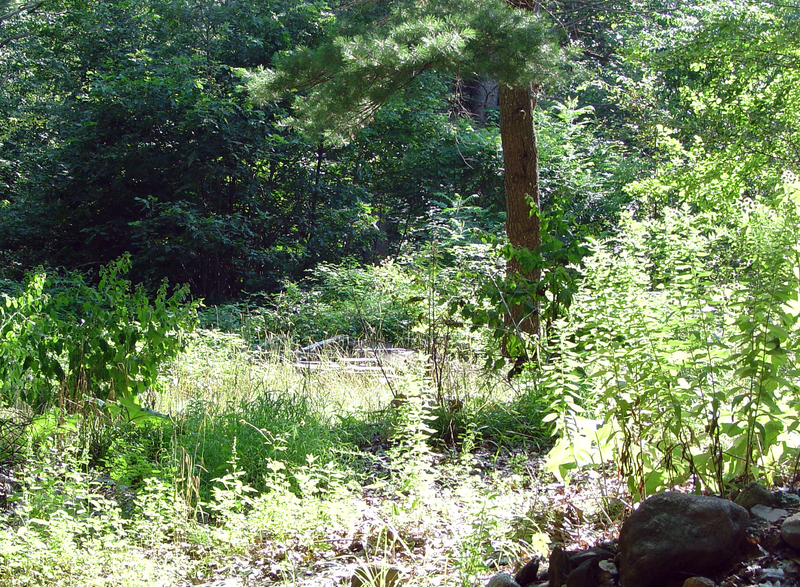 By the year 1773, Solomon and Lydia Mack had moved to the town of Gilsum, New Hampshire. 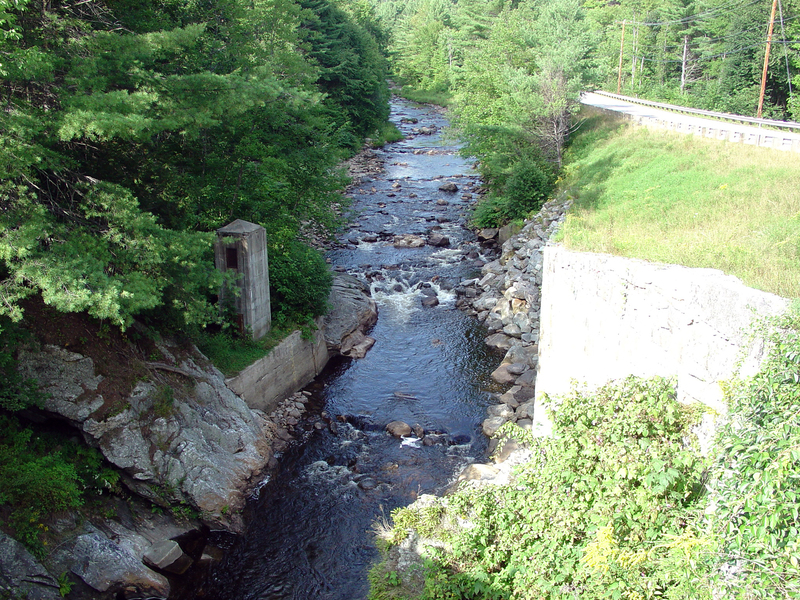 Solomon and his brother built the first bridge over the Ashuelot River. The stone bridge seen above replaced that original bridge. 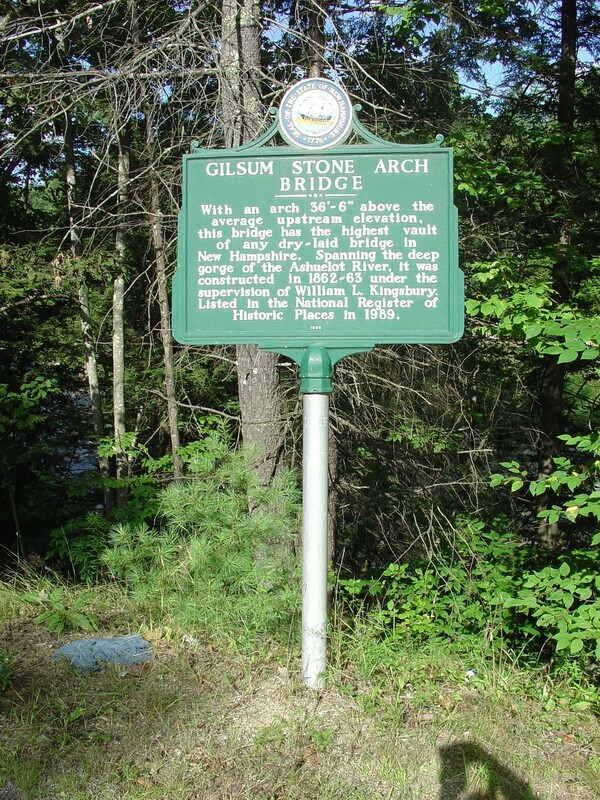 At least two of the Mack children were born in Gilsum. 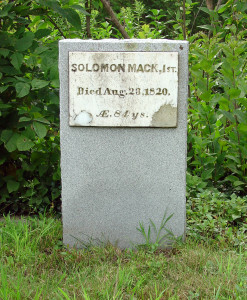 In 1773 Solomon Mack Jr. was born in Gilsum. 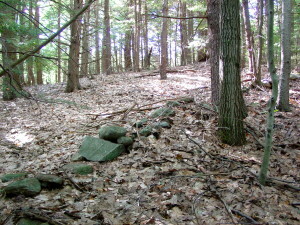 His sister, Lucy Mack, was born at Gilsum, NH July 8, 1775, somewhere near the clearing seen below. Approximate site where Lucy Mack Smith was born. Photo by Kenneth Mays. 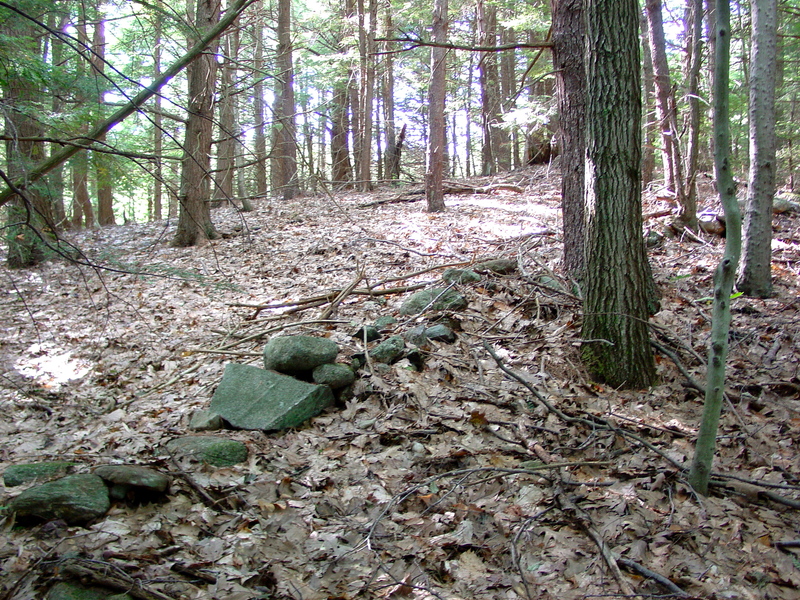 Following the death of her sister Lovina in 1794, a grieving Lucy went to Tunbridge, Vermont with her older brother, Stephen Mack. While there, she met Joseph Smith Sr. whom she would later marry. They became the parents of the Prophet Joseph Smith. The Joseph Smith Sr. family left Vermont in 1816. Lydia Gates Mack, wife of Solomon Mack and mother of Lucy Mack Smith, died about 1818, likely at the home of her son, Daniel Mack, in Royalton, Vermont. Shortly afterward, Solomon Mack concluded his time in the region of Sharon and Royalton, Vermont. He moved back to Gilsum, New Hampshire in 1819, presumably to be near his son. Solomon Mack died August 23, 1820, several months following the First Vision of his Prophet-grandson, Joseph Smith in upstate New York. 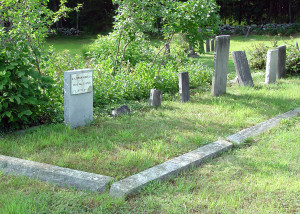 Solomon’s grave, seen below, is located in the Centennial Bond Cemetery at Gilsum, New Hampshire, very near to where his daugther, Lucy, was born in 1775. 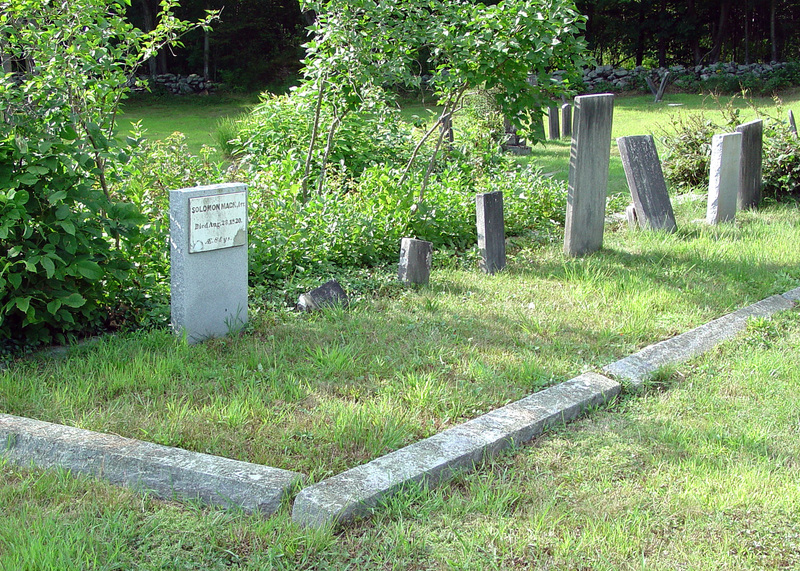 The larger headstone at the left marks the burial site of Solomon Mack, father of Lucy Mack Smith. Photo by Kenneth Mays. Gilsum, NH is located on SR 10 between Keene and Marlow, NH. To get to the Solomon Mack grave, drive south for a short distance from Gilsum on SR 10 to Surry Road and turn to the northwest over the stone bridge. Surry quickly splits from Cemetery Road. Stay right on Cemetery and follow it to the junction with Centennial Road. The cemetery is located at that junction. 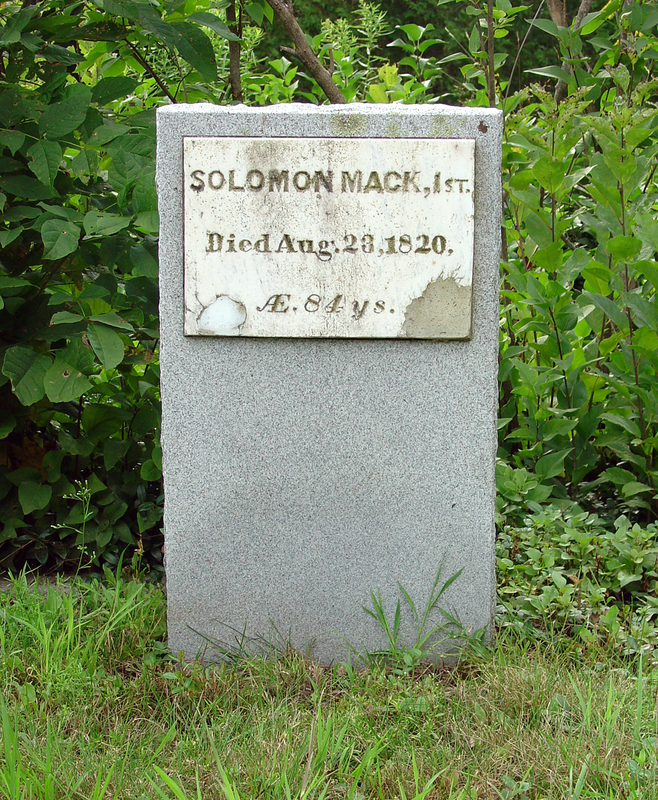 The Solomon Mack grave is in the northeast quadrant of the cemetery. 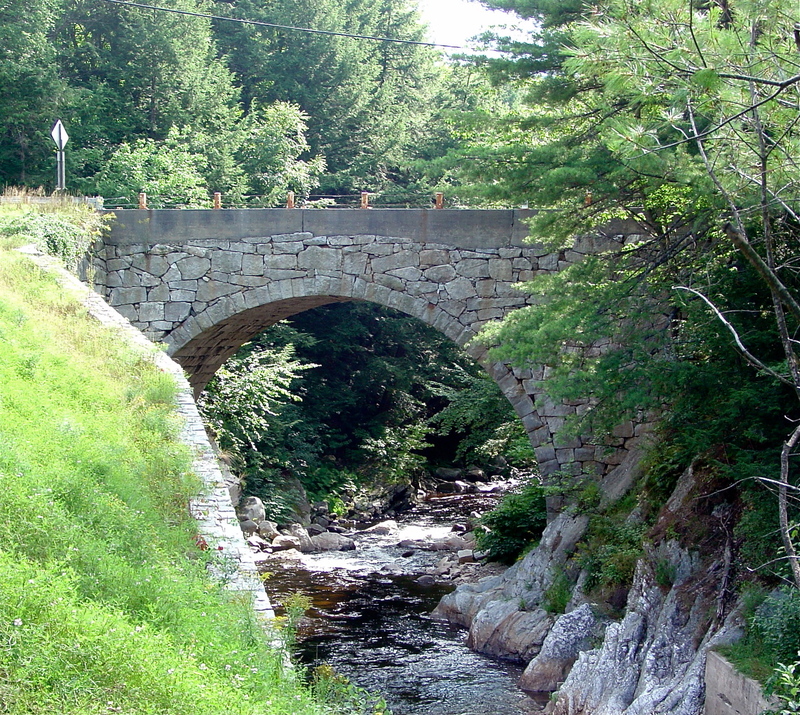 The gps coordinates for the stone bridge are: 43°02’19.86″ N; 72°16’12.20″ W.
Interpretive sign at the stone arch bridge near Gilsum, NH. Photo by Kenneth Mays. View from the stone arch bridge near Gilsum, NH. Photo by Kenneth Mays. Headstone of Solomon Mack. Photo by Kenneth Mays. A. Gary Anderson, et al., in LaMar C. Berrett, ed., Sacred Places, Vol. 1, 62-66. Lucy Mack Smith, in Preston Nibley, ed., History of Joseph Smith by His Mother, 30-31.